A lot of people are a bit skeptical about hiring a coach, but that is only because they don’t see the benefit of it. If you’re the kind of person who enjoys helping others through your expertise, then, how do you reach out to a wider audience and spread your advocacy? Like any other businesses, having an efficient website is one of the best marketing strategies you must apply nowadays. 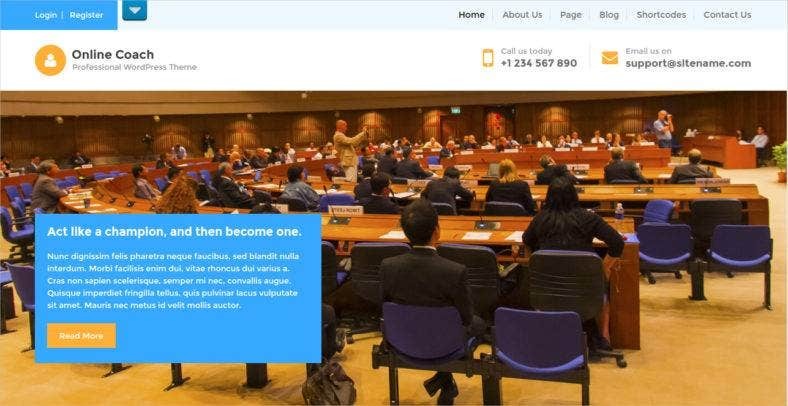 So, whether you’re hiring a web designer or building the website yourself, below are some WordPress templates that you can choose or find inspiration from. 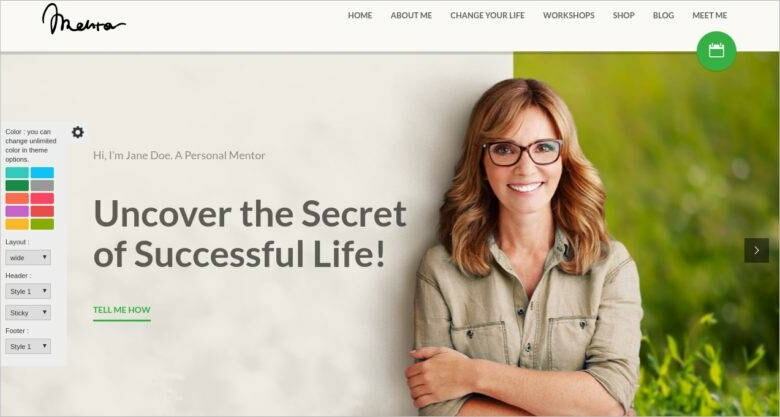 Mentor offers an up-to-date and minimalist design that is perfect to use for personal development websites. It includes graphs to track down your progress which makes it look professional while the integration of an appointment calendar and tesimonials makes it personal. 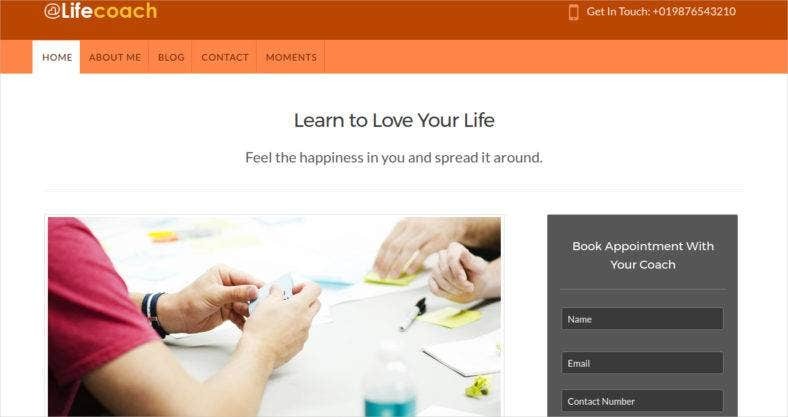 Life Coach is a responsive WordPress theme that uses the Cherry Framework which makes it easy to handle while editing the theme into your preferences. Its a beautiful theme that features parallax scrolling, a slider, and some pretty icons. The blue color scheme this template has makes it look neat and polished. Fit Coach is an image-heavy WordPress theme that is great for services such as lifestyle mentoring or fitness training. Here, you can showcase beautiful images of your workouts in slider header. The theme also has a unique scheduler below the header where your clients can keep track of the classes or sessions you’re having during the period. Health Coach is another WordPress theme perfect for personal trainers and health gurus who needs a striking portfolio of their services. It is easy to use and to customize as you just have to drag and drop the elements you want in the website builder. It is fully responsive and feature packed with a modern take on its design. The Coaching website tempate is another great way to entice and impress your clients with its bright and light design. It features a comprehensive homepage that lets you provide an overview of every services you offer as well as other essential information about your business. It has all the necessary plugins you need for a complete website. Contrary to the previous template, this one leans more into the professional side with sleek and dark aesthetics. This theme utilizes a side menu and a side scroller to let you switch between pages. It also offers pre-built pages with pre-defined layouts that are perfect for financial firms and business consulting websites. The above WordPress theme is another awesome theme for life advisers and personal development professionals. Its orange color template tells your clients that life is indeed beautiful. This theme allows you to showcase your services, display your portfolio, and present your contact details. It also has an appointment booking feature for your clients. 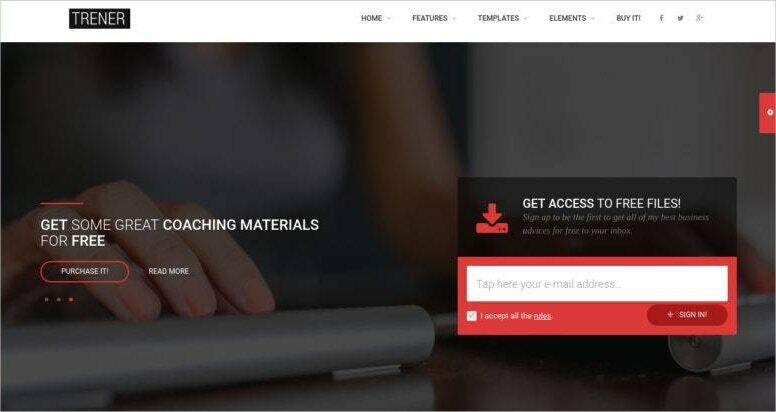 Trener is a multipurpose WordPress theme as it can be used for sharing different materials of a trainer’s or coach’s services, and for generating leads and potential clients through its working forms. Built with a Bootstrap framework, it is responsive and allows you to choose between the multipage and one page versions. This Coaching WordPress theme is perfect for any trainer or coach who is looking to upgrade an outdated website or building up a new one. This theme does not require any coding as you can easily update the demo text, images, color scheme,, and page layouts according to your preference. It is optimized for different devices with its responsive design. 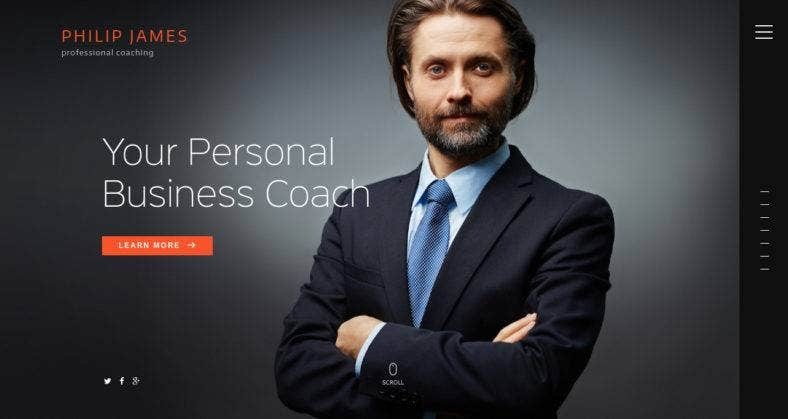 A free WordPress theme, Online Coach features a professional design that includes essential elements needed for a coach website. It has the necessary call to actions, like contact details and social media links in the header so your clients will be able to find them in no time. Hearten, as the name implies, provides a vivid and radiant feminine design specially made for female coaches and trainers. It has all the important features you need as well as a lead capture tool and social media buttons to increase your audience. Although it offers multiple layouts, it’s easily customizable without any required skills. Another Coaching Business wordpress theme made direcctly for female coaches. Tribe features beautiful images for backgrounds and font packages that makes up its gorgeous and elegant feminine design. It is optimized to look great on any device in order to capture more leads faster. It’s so pretty that you don’t want to not use this template. All the templates you see above are guaranteed to give your websites an edge among your competitors. Most of them, if not all, have integrated all the important features your coaching website needs from sliding headers to contact forms. They are also designed to give your website not just a professional look, but also a bright and approachable atmosphere. So, never hesitate to choose one of these templates and share your knowledge for success to the world.